him during his studies in Hanoi. Van was very fond of studying, however he had to save every penny given by his mother when she dropped in tosee him, to spend on books. The life of a poor schoolboy silently passed by until he was out of his teens. man. He studied oil painiting but he also tried other mediums such as silk painting, wood carving and frescoes. Graduating from the Indochinese Fine Arts College in 1931, To Ngoc Van was passionate about the beauty of the diverse spectrum of colours. His skills had been perfected, his later style was basically established. There was a keen sculptor in him who was very sensitive to full, round and graceful figures, especially to the beauty of the female form. for some business firms, although his techniques for fresco acquired during the academic years had a chance to be tested. the period in which he most specialised in oil paintings. Arts College. Besides work by Le Pho, Mai Trung Thu, Vu Cao Dam and others, were To Ngoc Van’s paintings which were greatly admired owing to his beautiful style. every one of them has brought new hope for the future to do away with the notion that we can never be able create inspired artwork. However,To Ngoc Van has already let us enjoy a mature, influential and vigorous art”. The exhibition in 1937 could be seen as the last show of To Ngoc Van’s landscape paintings. new painting paintings that had just been completed such as “Young Girl by Lilies” (1943), “Young Girl by Lotus” (1944); “Two Young Girls and a Baby” (1944). These works marked the height of his oil paintings which worthily represented Vietnamese oil painting before the August 1945 Revolution. After the revolution, the elite of Hanoi and the first of the great modern Vietnamese painters set off at the request of the revolutionary resistance. temporarily by the outbreak of the War of Resistance against France. To Ngoc Van left Hanoi for the liberated area and joined the artistic circle in the new life where he devoted all his talent and experience to make his contribution to the long war. folding stage; printing leaflets under a curtain of jungle leaves; running the Resistance Culture Group; or managing the reorganisation of the Fine Arts College (1949-1950). getting more dynamic and lively, and focusing on depicting action. During their fact-finding missions to see the working people, both teacher and students painted right on the spot, strengthening the connection between the masses and the artists. 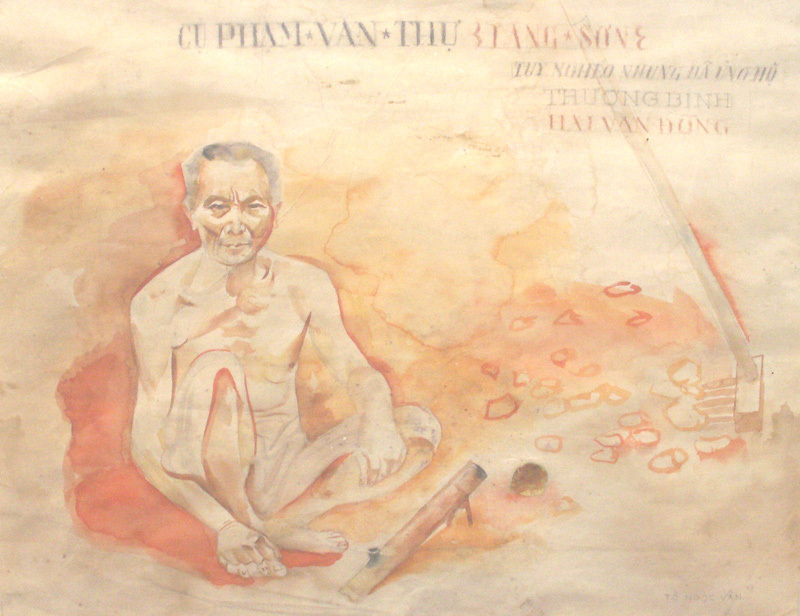 A series of To Ngoc Van’s paintings of landscapes and lives in north-western Vietnam (Tay Bac) depicting a Thai ethnic girl, a female teacher by the house on stilts, a horse eating by the stable, pigs andchickens in a courtyard, mountains and clouds, water springs, ancient banyan trees, strangely shaped stones, the hilly trails leading columns of soldiers and people’s labourers with loads on their shoulders or onbicycles to the battlefield of Dien Bien Phu are unforgettable. His sketches of the north-western campaign such as “Rest by the Forest”, “Marching through the Pass” and “Marching across Spring” depicted the splendour of the people’s soldiers through vivid images and strokes, full of fine emotion. 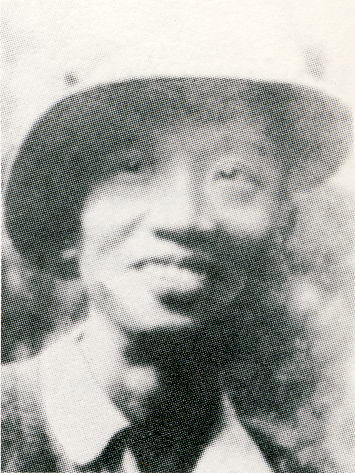 In early 1954, To Ngoc Van set out on a new trip. As the artist Tran Van Can recalled: “Full of confidence and enthusiasm, he suggested we should hold a farewell party. He wished to be directly involved in the fierce fighting at Dien Bien Phu. Our troops gained a resounding victory, however the French bombers launched heavy bombardments along the roads to the battlefield in an attempt to save their troops trappedin the Dien Bien Phu valley. Tragically, To Ngoc Van was killed in an air raid. Upon hearing the sad news, we tried not believe it was true, hoping he was able to hide somewhere during the bombardment”. Not until Nguyen Dinh Thi and some other combatants came back from the battlefield, bringing his rucksack and his painiting folder, did we despair. among the sketches he made along the way to the battlefield was one with stirring strokes dated 15-6-1954. The sketch depicted our troops marching through Lung Lo pass, the last painiting of his life! To Ngoc Van was unfortunately killed on his way to Dien Bien Phu at the age of 48. Forty two years have passed since, but when reading through the pages of his writings, one cannot help being deeply moved by the simple and sincere words of a clear, honest soul and his deep concern for the future of the national arts. To Ngoc Van is no more. However, he remains a bright example of ardent patriotism, devotion to work and love of life. And especially, the strong and persistent will to change himself so as to change his artistic notions. Had his career not been interrupted half-way through, he would have been able to turn his great volume of documents and sketches into great paintings of the War of Resistance. His paintings of Uncle Ho and his collection of sketches of farmers and the resistance soldiers were breathtaking. 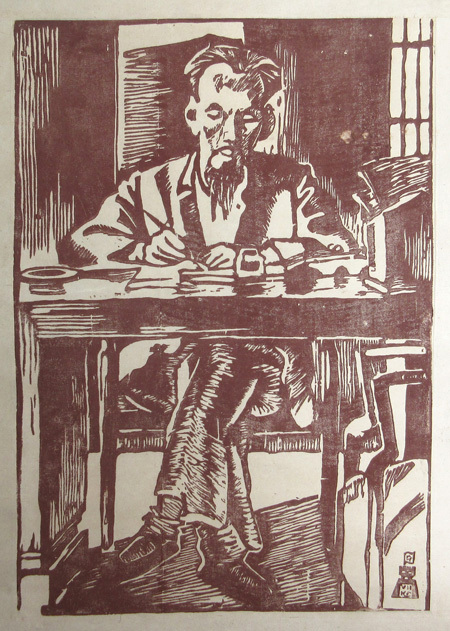 To Ngoc Van was one of the first artists who assimilated Western methods in a creative way, and combined them with his inheritance of national artistic traditions. He left us a number of works of high artistic value. A profound and talented painting To Ngoc Van was also an excellent organiser. His work for the cause of training of a young generation of artists was a great contribution to the country. To Ngoc Van was a genuine painting and a fine representative of the modern painters of Vietnam. He was also a great teacher and an inspiration to the modern Vietnamese artistic community. He was posthumously given the highest national award for art and literature – the Ho Chi Minh Prize.